Let there be much rejoicing!!!! After 3 prior attempts to film a sewing tutorial, edit, render, and upload it with EPIC FAIL results….. My dear, sweet, hubby, stepped in and rescued me! He filmed me demonstrating this mitered binding method that does not require any hand sewing and I am sooooo HAPPY! Yes, I am doing the dance of JOY! This entry was posted in Project Tutorials, Tips/Techniques FYI, Video Library and tagged mitered binding, Quilting, Sewing FYI, sewing video on December 14, 2011 by Jenny Gabriel. Love the tutorial on custom mitered binding. Thanks! Thank you so much! Excellent instruction. I’ve bookmarked your page and I will be back! I watched all 3 of your binding videos, very interesting. I started sewing mine on the back and turningt it to the front and machine sew. It is always off. I loved your tablet cover you did today on Nancy Zieman’s site. Did I miss how wide you cut the strips in the 1st place? It looks pretty wide. I think it’s totally great and could save a lot of time once you get the hang of it- Thanks so much! 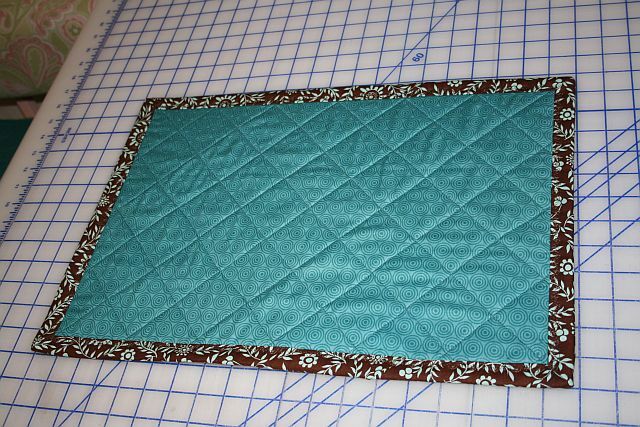 I wanted my finished binding on the place mats to be 3/4″ wide. Because this is the “double-fold” method, I cut my binding strips 4 & 5/8″ wide. (I cut on the straight of the grain from selvage to selvage.) 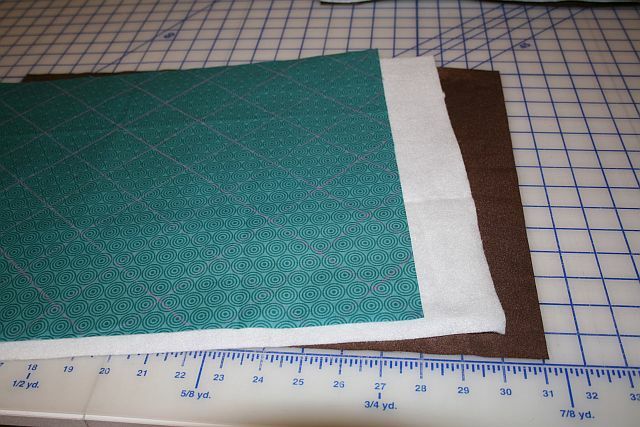 I recommend cutting 7 to 8 strips to make a set of 4 place mats. Also, for the Tablet Keeper’s binding, the instructions say to cut binding strips that are 2 & 1/2″ wide. I stuck with the Tablet Keeper’s instructions and was very happy with the narrower binding as well.